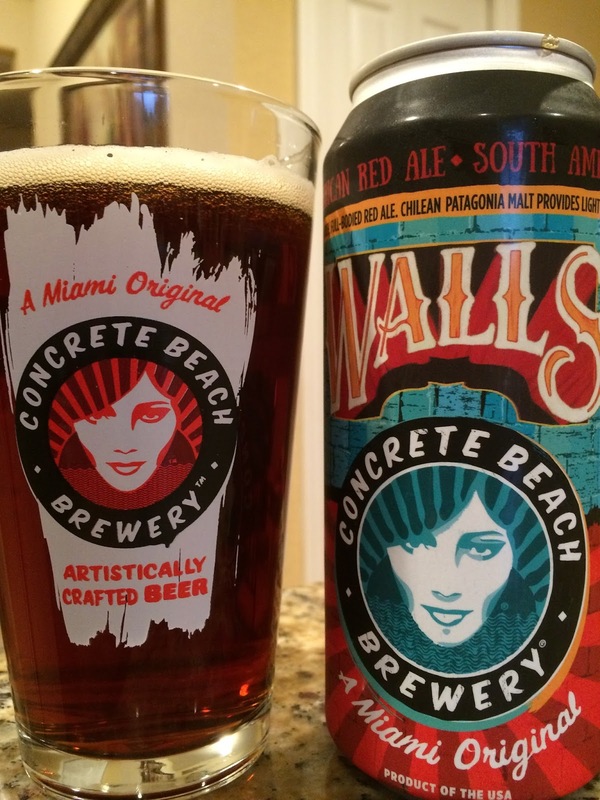 Concrete Beach Brewery recently held a party to launch their newest canned beer: Walls South American Red Ale. I tasted the beer at the brewery not that long ago (my wife reminded me it was on Nitro that night), but since I didn't make that canning release party, I grabbed a pounder today from the liquor store shelf. The "South American" part of the name is due to the fact that the brewery uses malts obtained from Chile. 4.9% alcohol. 10 IBU. Caramel aroma, light spice. Sweet caramel and toffee flavors start, but a citrusy orange hoppy balance complements that. A bit spicy, good body, toffee lingers at the finish. On the "a little too sweet" side, but tasty and full of flavor. Check it out.